Today the government announced that they would introducing legislation to prevent investors from selling there investment holdings, unless they had a good enough reason to ……..
Can you imagine that! How ridiculous would that be? Who would want to be an investor with that kind of legislation? Probably not many, BUT that is what is exactly what is about to happen to private residential landlords. Legislation is to be introduced to prevent landlords form serving an eviction notice on tenants! That means a tenant can stay as long or as short as they like, and the landlord cannot do anything about it. This is NOT good news for landlords. Without getting into the politics or the rights or wrongs of the changes, that are going to take place and the implications, my thoughts turned to how best to prepare for retirement. I have spent a great deal of time over the years thinking about this question and have even been a buy to let investor myself in the past. So, I have personal experience of both conventional investing and property investing. The most common answer to the question of planning for retirement, still seems to be “invest in property, it’s the only way”. BUT is it? I really don’t think so and here’s why, I still think and even more so after today, believe that conventional investing into a pension continues to be the best way to save for retirement, and here’s why. receives tax relief from HMRC. growth is for your benefit and is not taxed by HMRC. there is no income tax due on your pension as the fund builds up. taxable at their marginal rate of tax. uncontrollable. The cost of having a pension is controlled. on whether you self manage the investments or use the services of an adviser. any given day. In other word’s you can get out of an investment very quickly. property and will not help you with the purchase There is extra free money that can go into your pension as well. If you are employed, your employer will have to contribute to a workplace pension on your behalf. So as you can see, in my opinion pensions really should not be over looked. In fact, there are many reasons to invest in a pension. “But pensions don’t give any investment return” I hear you say. “But are you so sure?” You see there is a lot of talk that pensions don’t make any money, but I have to disagree, and I’ll tell you why. Any investment that is poorly managed whether it’s a buy to let property or a pension fund, will perform badly. History has shown over the medium to long term, that the stock market out-performs all other assets classes. 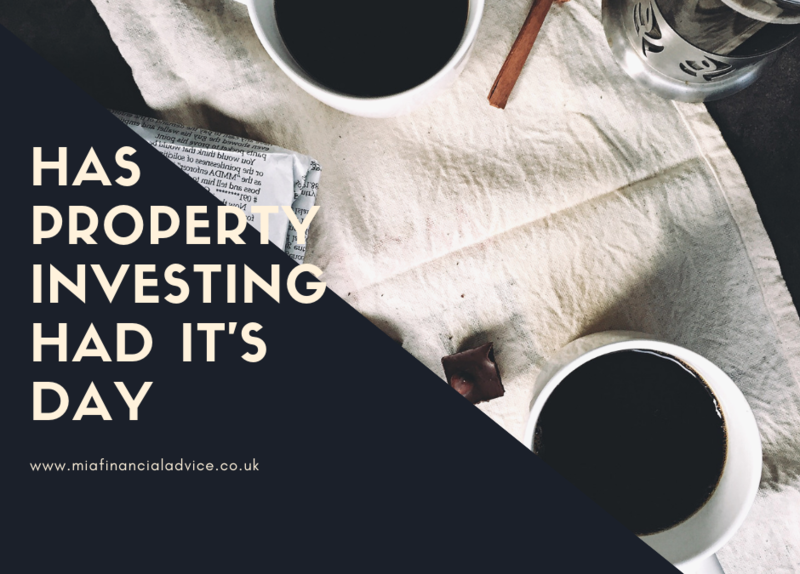 Given the announced changes to buy to let property investing, now really could be the time to re-consider your pension situation. If you have pensions, but are not really paying any attention to them, maybe now is to look at them again. Why? Apart from the positives about pensions, it seems to me that, the direction of travel for landlords is negative and further legislation is sure to follow. In the words of Warren Buffett – “Be fearful when others are greedy and be greedy when others are fearful”. Property is still favoured by many, but is it really going to be the long-term answer? If you already have a pension that you have been ignoring, maybe it’s time to review what is going on. What’s it worth, where’s it invested, what risk are you taking, how is it performing and many more questions. Whilst reviewing your pensions may seem overly complex to you, an expert financial adviser specialising in this area, will be able to help you understand where you are now and make sure that you are on track to get the most from your investments into pensions.